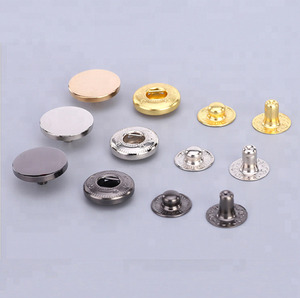 Best selling Modern Design Metal Snap Button Item Best selling Modern Design Metal Snap Button Material crystal, metal,brass,alloy,and etc. Size Customized size are welcomed Color Customized color Usage Garments MOQ 500piece Certificates SGS, OEKO-TEX Sample time 5-7 days after confirm all the details Delivery time 7-20 days after the receipt of the payment Packing Standard export carton box with woven bag wrapped Shipment By sea, air or others Payment T/T, L/C, Paypal, Western Union etc. our factory is located in fenggang town, dongguan city, guangdong province. our products are widely used in children's garment, knitted garment, denim garment, shoes, hats, bags and other fields. we are a company, and we also have two factories, respectively locates in foshan and dongguan, guangdong province of china. c. competive factory price and higher quality than counterparts. colorful four parts brass prong snap button snaps product name colorful four parts brass prong snap button snaps item no. , it&rsquo;s better if you can provide image or sample, so we can quote more efficient. with a light weight, the snap gives no alien feeling and is best suited for sportswear, baby-wear, bags and interior. government regulations Use the plastic pack with protection film to aviod any damage and scratching issue. As a result, our placement puts us in proximity to both the fashion world and the world of production. We have total respect for pollution controls as well as labor laws and we are proud to be Oeko-Tex standard 100 certified from the International Association of Research and Testing in the field of textile ecology. Wholesale custom hardware accessories shoes garment bag press metal snap button for clothes &gt;&gt;&gt;CLICK HERE TO GET FREE SAMPLE FROM US ! Certificate SGS,RSGS,ROSH FOB Port Guangzhou Application &gt;&gt;&gt;CLICK ME ! Other Products Packaging & Shipping &gt;&gt;&gt; ANY PROBLEM, CLICK ME ! Large number of merchandise is more than 8000 designs, which could meet different clients requires. To supply the elegant, unique, charming and durable metallic ornaments is our long term promise . 2. for old customer: preferential price detail can talk with us for any orders at any time! 2) If price is acceptable and client need sample,we provide Proforma Invoice for client to arrange payment for sample. 4. Q: Can the logo or company name to be printed on the products or package9 A: Sure. Shipping: We have shipping department and forwarder,so we can promise faster delivery and make the goods well protected. The products we are supplying like Button, Lace, Elastic, Ribbon, Trimming,Buckle, Woven lable etc. The main markets we are working on like European, South America, North Africa. We sincerely hope to expand our business and always glad to establish good business relationship with new friends from all over the world. because our clients come from many different countries and regions, and they have their own mother tongues, while those problems are solved successfully in the end. w e need more detail as follow, this will allow us to give you an accurate quotation. metal ecg electrode snap button product type press snap button item no. 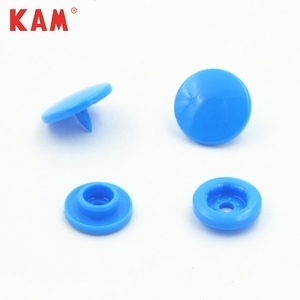 product type * spring snap button for our snap button, which is four parts in one set(cap,socket,stud,post). 3. Can I ask for some of your item samples9 Sample available, free samples. 4. How much do you charge for new sample development9 Charge mould cost only. 5. Can I get samples first of my own design, and then start the productions9 Yes, sure. 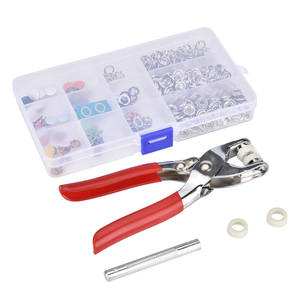 Alibaba.com offers 45,808 snap button products. About 32% of these are buttons, 2% are bag parts & accessories, and 1% are belt buckles. A wide variety of snap button options are available to you, such as dry cleaning, nickel-free, and washable. You can also choose from metal, plastic, and resin. As well as from round, oval, and square. And whether snap button is plating, covered, or pearl. There are 45,209 snap button suppliers, mainly located in Asia. The top supplying countries are China (Mainland), India, and Taiwan, which supply 93%, 2%, and 1% of snap button respectively. Snap button products are most popular in North America, Western Europe, and Domestic Market. You can ensure product safety by selecting from certified suppliers, including 5,982 with ISO9001, 4,506 with Other, and 1,513 with BSCI certification.